The second edition of Bahrain Real Estate Investment Expo 2019 (#BREIX19) kicked off today (February 7) at Bahrain City Centre featuring major properties of several development companies in the kingdom. 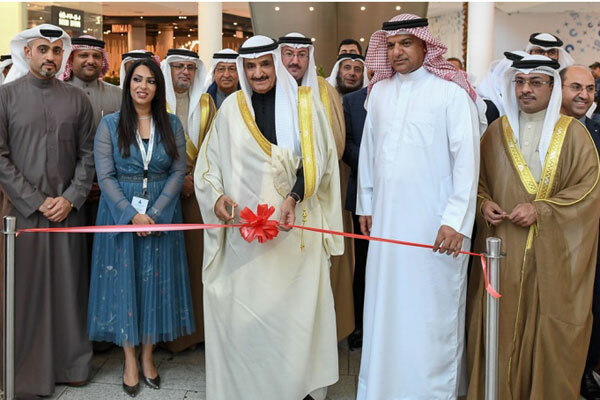 The three-day event was inaugurated by Head of the Survey and Land Registration Bureau and Board Chairman of the Real Estate Regulatory Authority (RERA) Shaikh Salman bin Adullah bin Hamad Al Khalifa, reported BNA. Shaikh Salman stressed the importance of such exhibitions in boosting the role of the real estate sector as one of the most important non-oil economic contributors to the Gross National Product. "The real estate market in Bahrain is secure, stable and capable of adapting to the economic conditions. He pointed out the government’s policies to boost the role of the private sector in implementing projects in line with the Economic Vision 2030," he remarked. Shaikh Salman called upon investors from Bahrain and abroad to invest in the kingdom, mainly in the real estate sector, thanks to the availability of a favourable infrastructure, a sound legislation system as well as advanced and streamlined procedures. He also hailed the role of Rera in fast-tracking work and ensuring licences are based on sound legal bases safeguarding the rights of all relevant parties.